Within days of each other, two major denominations of Christianity welcomed new leadership and the World Methodist Council was well-represented at the inaugurations. 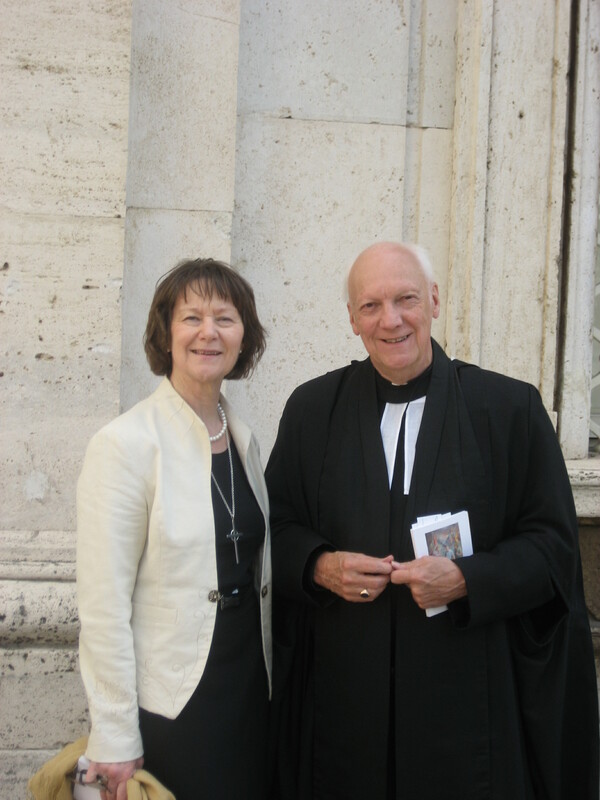 Ms. Gillian Kingston, an honorary president of the Council, and Professor Robert Gribben, chair of the Ecumenical Relationships Standing Committee were present in the sunny piazza of St Peter’s in Rome, Italy to witness Pope Francis preside at his first Mass as Bishop of Rome on 19th March, and to meet him the following day. General Secretary Ivan Abrahams and Dr. Gribben were also invited to the inauguration of the new Archbishop of Canterbury, Dr Justin Welby, who is ‘first among equals’ of the bishops of the world Anglican communion. General Secretary Abrahams and Dr. Gribben both had an opportunity for a conversation with the Archbishop afterwards.